Every Wednesday night, Join Lucky Strike Social for College Night. 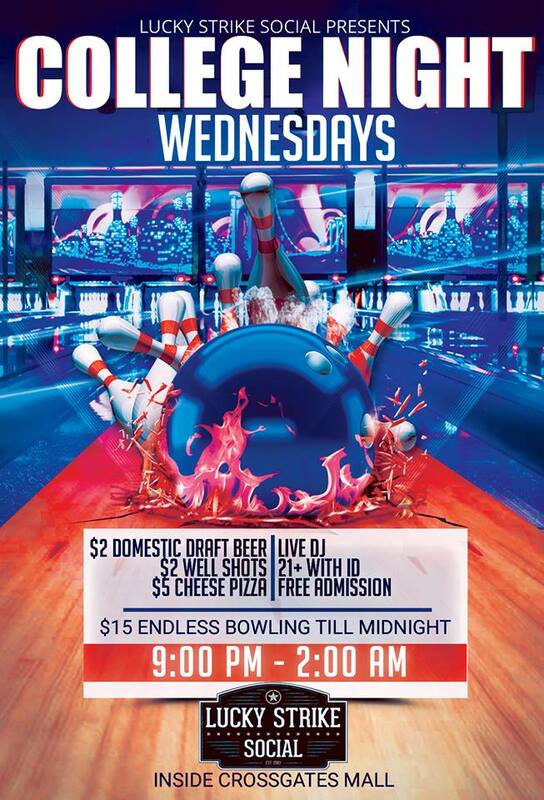 Bottomless bowling for only $15 a person, Live DJ and Food & Drink Specials. Open to everyone!